From the May 2015 Desktop News | Dr. Trudier Harris, professor in the Department of English, has been named a University Distinguished Research Professor by The University of Alabama Board of Trustees. This designation recognizes UA faculty who have achieved international accomplishments in their field and have been given extensive peer recognition for their scholarly contributions and noteworthy academic service. An Alabama native, Harris is one of the nation’s top scholars in African-American and Southern literature and cultural theory. To date, Harris has 10 single authored, original monographs; five edited books; nine co-edited works; and nearly 100 articles and essays in journals or books. She earned a Bachelor of Arts degree in English from Stillman College in Tuscaloosa before continuing with graduate studies. 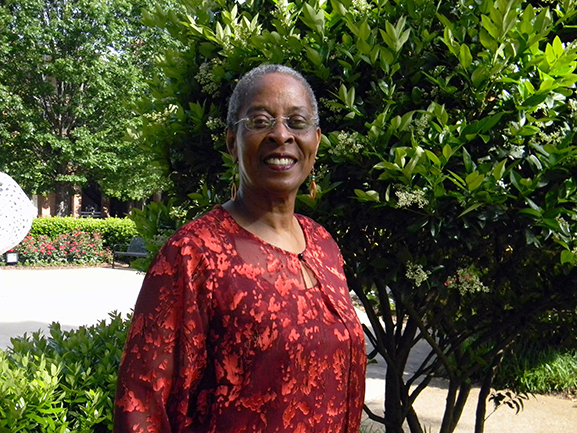 Prior to joining UA, Harris was the J. Carlyle Sitterson Professor of English and Comparative Literature at the University of North Carolina, Chapel Hill, from 1988 to 1993 and again from 1997 until her retirement in 2009, and the Augustus Baldwin Longstreet Professor of American Literature at Emory University from 1993 to 1996. “She is one of our keenest observers of the complexities of southern literature, well demonstrated in her collection of essays, ‘South of Tradition: Essays on African American Literature’ and ‘The Scary Mason-Dixon Line: African American Writers and the South,’” said Dr. Maryemma Graham, University Distinguished Professor at the University of Kansas. “Harris’ insights command our attention, most often because they are fresh and original; they are thoroughly researched and deliberate; they push against multiple boundaries,” Graham said. Joining UA’s department of English in 2010, Harris has taught 12 different courses at the undergraduate and graduate levels, and she serves on five dissertation committees. “In Professor Harris you not only have a first-rate intellect, but also an inspiring example to all your students,” said Dr. John Wharton Lowe, the Barbara Methvin Distinguished Professor at the University of Georgia. Reared on an 80-acre cotton farm in Greene County, Harris was the sixth of nine children. Her love of literature and culture was kindled during a summer exchange program, and the foundation for her stellar career was established. Harris’ scholarship is grounded in Alabama. She is regarded as a product of her unique culture, and her work shows a myriad of connections between Alabama, the South and the wider world. After graduating from Stillman College, she earned a master’s degree in English and doctorate in American literature and folklore from The Ohio State University in 1972 and 1973, respectively.  Harris holds memberships in scholarly and professional organizations such as the Modern Language Association, the American Folklore Society and The Langston Hughes Society. She founded the George Moses Horton Society for the Study of African American Poetry in 1996.